hialeah florida accountant keys Archives - Hialeah Accounting Services. Key Hire Accountant. Do you have a small business? Looking for an accountant to solve your business financial issues. There is 3 fundamental rule that you must follow when you make this decision. If you make the wrong choice, it could cost you time, money and audit. Getting a referral in one of the keys to hire an accountant. Questions to ask the person who is giving it are. How long have you been going to that firm? Did they ask you questions while doing the return? Doing more due diligence could be required if your friend only went once. Find out how long the firm has been in business would be the second key to hire an accountant. If they have been around only a few years, you might be hesitant to use them. check years in business is Sunbiz.Org if you live in Florida. Division of Corporation in the State of Florida is where you can search the accountant firm. When you type in the firm’s name, they will tell you how long in business. If they do not show up, could be a sign that they are a fly by night company. Seeing 5 or more years will signal that you are in a reputable firm. Key Hire Accountant. Are they year-round service. When you make the phone call to the accountant office ask a few questions. The first questions to ask is the office open year round. If they say no and a warning bell should go off. You could have issues should you need a copy or a question later. When an accounting firm is open year round is a good sign. Any question you have just give them a call and go to their office. Google is Key Hire Accountant. Are you looking for an accountant? You can not get a referral from any friends or family. Google would be the best place to look. Just put in the search bar accountant and the name of your city or suburb. When you live in a prominent area like New York Or LA, you must put the area that you are in. This will give you a firm that is close to you. I always check the rating first before I call. It is the sign of what others are saying about the accounting firm. Most of the time the public is correct. Firms with 10 or more reviews will start to give you a feeling of the quality of service. Less than that could be that they are made up by the owner and their friends. Yelp is another good place to check the quality of the accounting firm. Just go to Yelp.Com and enter Accounting in the search bar. This will bring up a list of firms. We ask the questions to solve all of your accounting issues. 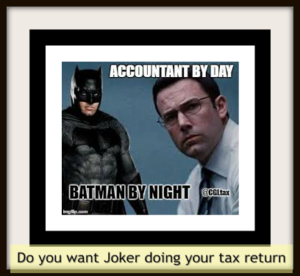 Follow us on Facebook for daily accounting and tax tips. Like us on Instagram to get updates on your accounting needs. Hialeah Florida Accountant Keys Corporation or LLC Before starting a business you need to know what kind of business works for you. You have 3 types of business. They are a sole proprietorship, Limited Liability or a Corporation. A sole proprietorship has different rules than both LLC and a Corporation. Easy to open with little is the only reason to start your business. First of all, There is a downside to opening a Sole proprietorship. Consequently, you are personal liability for any monetary loss and any damages that could happen. Below are some good reasons why you need to open a corporation. This is especially relevant since you gain incorporation formation offset any alleged drawbacks. There are several Drawbacks to opening either a corporation or LLC. You will know discover the keys to Open a Corporation or LLC. Law believes a corporation is a separate entity and personal assets are protected. Creditors cannot chase the owner’s personal assets like a car or home for repayment of business debts. Sole proprietorship the owners represent personal assets that serve as a basis for paying business debts. Start Corporation or LLC requires to keep it active at the state level. You have to pay the renewal fee every year. Banks will let you borrow money on the business. Now you can raise capital by selling shares. It is a which a good selling point for potential investors, partners, employees, and vendors. They are one of the most important reasons for starting a corporation or LLC. We have a Youtube presentation that gives you the full details. In Florida, you only need one officer for your corporation or LLC. What you need in starting your corporation or LLC in Florida can be found in our other posts. Corporate or LLC will live on with or without its founders. The corporation still continues to exist and perform business. In conclusion, starting your corporation or LLC will consequently save you time and money. Corey & Associates Accounting is the Author of Hialeah Florida Accountant Starting Corporation or LLC. Since 1985 has provided accounting services to their clients. Its a full-service accounting office located in Hialeah, Florida 33014. The office is located at 1800 W 68 St Suite 118, Hialeah Florida 33014. We offer the best services. you Do not have to take our word on it. Follow us on Facebook for daily tips.